A high level of occupancy is critical to maintaining cash flow and profitability. There are many factors operators must get right to gain maximum occupancy and it is a challenge that has to be met as it is suggested that profitability requires occupancy levels of 85% or higher. Whilst filling beds is the vital concern, it is also the one space which can offer quick gains if time, costs and refurbishments are managed. First, it is useful to recognise that how a bedroom looks and feels truly matters. A CQC survey recently revealed that when it comes to attracting residents, by far the most influential factor is visiting care homes. Some 72% of respondents relied on impressions formed by spending time at the home, which far outweighs the second most important factor – the home’s CQC rating or latest inspection report which was the reason cited by 44% of respondents. Visitors will form an impression of how well run and appealing a home is within minutes, and of all the spaces they see, people instinctively focus on how bedrooms are presented. As the biggest anxieties around transition into a home are a loss of privacy and independence, bedrooms are at the core of creating a sense of welcome, homeliness and comfort. Getting this space right takes time and time is always critical in care home management. For each week that a bedroom remains empty, on average £600 of revenue is lost. Voids and time lags must be built into any business model. Traditional lead times on furniture alone, can leave a room unoccupied for 6 – 8 weeks, something of a double whammy given a loss of revenue coupled with the cost of a refresh. Add to that the time lost in coordinating the numerous items that must be in place so that the room is ready for viewings and occupancy. Quick turnaround of practical and stylish bedrooms that avoid the impact of long delays and in-house project management, is the ideal solution. Care home supplier, Blueleaf and its team of interior designers and project managers created Stock 7 which is a range of eight comprehensive bedroom collections, curated for installation within seven working days. 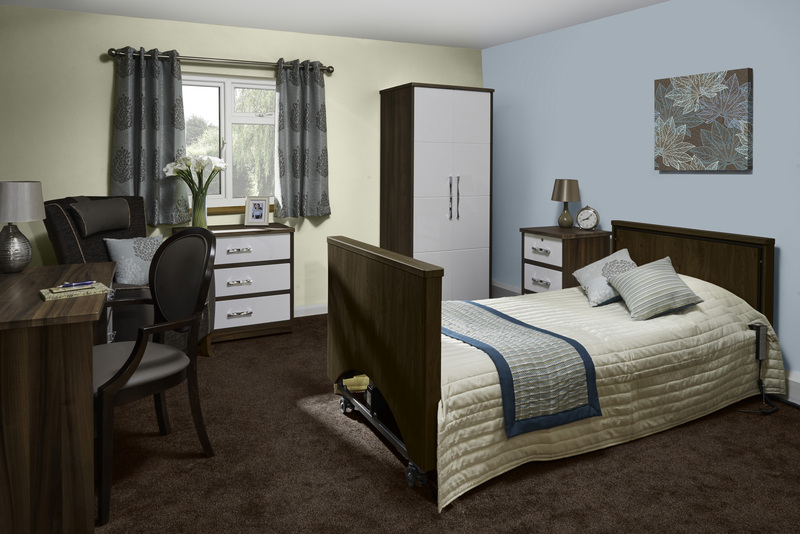 All pre-designed items are ideal for use in a bedroom, practical and as well as attractive so they support residents’ mobility and wellbeing. Operators benefit as a refurbishment that takes seven working days will see a return on investment in just under six weeks, compared to a traditional six-week refurbishment which would require 10 weeks of occupancy to recoup the investment. What’s more, whether the upgrade is for one room or several, homes also benefit from the finished product – bedrooms which are coordinated, elegant, practical and ready for occupancy. It’s a return on investment designed to make an immediate improvement and create a lasting appeal for residents and their visitors.